HOLLYWOOD SPY: NEW 'WONDER WOMAN' INTERNATIONAL TRAILER TAKES HER TO THE BATTLEFIELD! FIRST PIXAR'S 'COCO' ANIMATED MOVIE PHOTOS! NEW 'WONDER WOMAN' INTERNATIONAL TRAILER TAKES HER TO THE BATTLEFIELD! FIRST PIXAR'S 'COCO' ANIMATED MOVIE PHOTOS! It seems that after Moana, Disney is sticking to the multicultural themes, as you can see from the first pictures coming from Pixar's new animated movie COCO out this November. It has bit of a morbid plot. It follows Miguel, a 12-year-old amateur guitarist whose family has banned music, believing it to have cursed their clan. When he discovers a link between himself and his dead musical idol (Benjamin Bratt), Miguel sneaks into the singer's tomb and commits a (literally) grave act of guitar theft that inadvertently sends him to the Land of the Dead — and face-to-face with the very distressed souls of his great great grandparents. Gael Garcia Bernal is also in the voice cast. There is also a new Russian trailer for this summer's most anticipated WONDER WOMAN movie showing mindblowing fight scenes with Diana of Amazons! 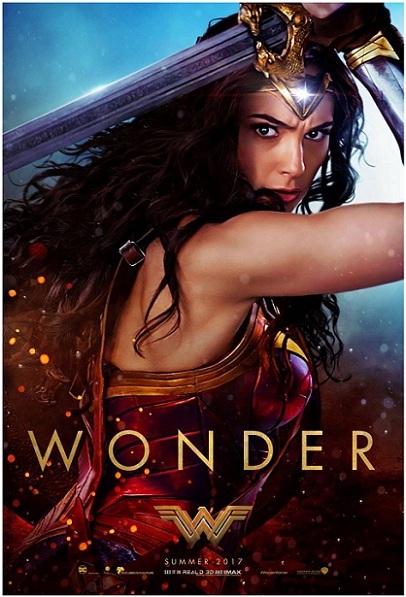 Starring Gal Gadot and Chris Pine, it will see her leaving her all-female island and discovering her full powers and true destiny while fighting alongside soldiers during World War I.
I can hardly wait for Wonder Woman! I agree - Wonder Woman might be a lot of fun! Wonder Woman is sure to be exciting! Wishing you a very happy new year. Hope 2017 is awesome! Thanks so much for those pictures from Coco. Can't wait to see it. While the trailer is great I'm hedging my bets on Wonder Woman. Been burn too often by the DCEU already. Fingers crossed. I think Coco actually sounds cute, but then again, I do like the more morbid story plots. Of course, you know I am most looking forward to WW this year. I. Can't. Wait! I'm sure it will be a huge success. It seems to be the most anticipated film of this year! WW should be a crowd pleaser! I bet they've messed up Wonder Woman, too.